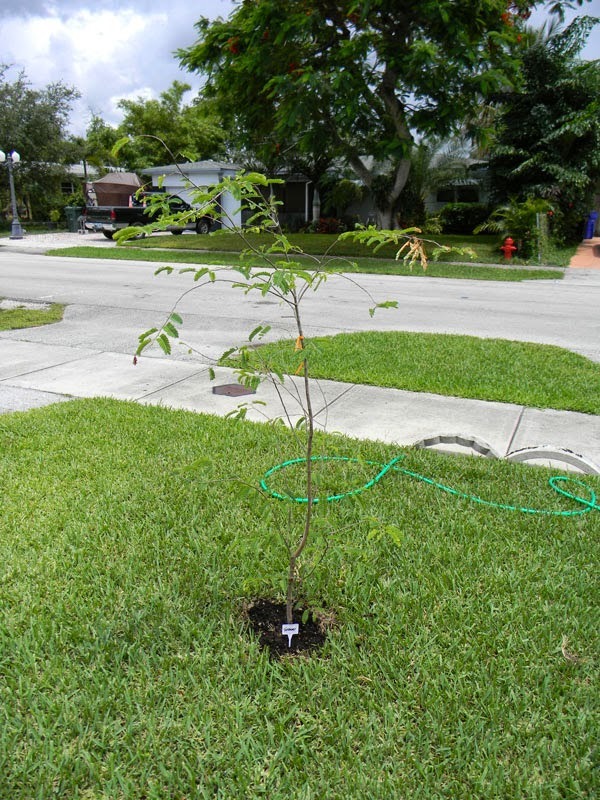 Florida Survival Gardening: Merry Christmas Eve! 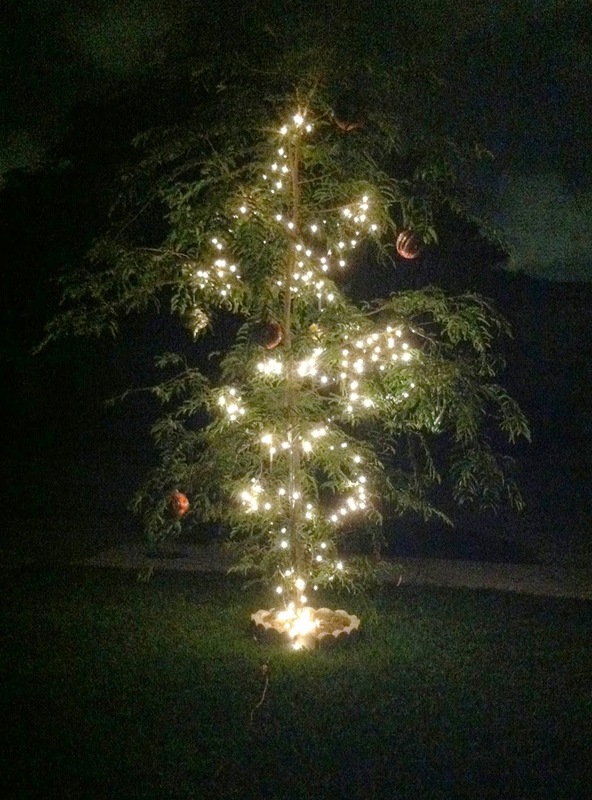 My mom sent me this photo last night of her festively decorated tamarind tree. I think it looks as good as any spruce, don't you? Today Mrs. Survival Gardener will be making some eggnog from scratch. I'm torn between adding Sailor Jerry's spiced rum or Knob Creek bourbon to the mix. #FirstWorldProblems. Outside the weather is balmy and overcast... all the windows and doors are open and the Florida breeze is playing with the curtains. Give me a green Christmas any day over the cold and ice of the north. I was born a Floridian and will always be one, no matter what those Yankee stooges in New York think should be a "proper" Christmas. Have a wonderful day, hopefully with your family.